A nome di tutta la Federazione PD cesenate, mi congratulo con l’on. Sandro Gozi per l’incarico appena ricevuto di vicepresidente del Gruppo Socialista nel Consiglio d'Europa. E’ una responsabilità considerevole, e sono certo che l’on. Gozi saprà eseguire il compito al meglio, e saprà dare un importante contributo al Paese all'interno del gruppo che raccoglie tutti i progressisti europei. Non solo, Sandro Gozi potrà essere anello di giunzione nell’asse Romagna – Europa, portando oltre confine le istanze del nostro territorio. 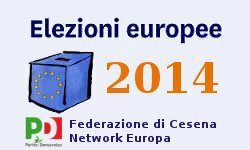 Inoltre, in vista delle elezioni europee di maggio, sarà una risorsa fondamentale per poter approfondire i temi che l’appuntamento elettorale porterà in auge. Colgo l’occasione per congratularmi anche del prestigioso riconoscimento, conferitogli sempre in questi giorni, di Cavaliere dell’Ordine della Legione d’Onore, a dimostrazione dell’impegno e della passione che Sandro ha sempre profuso in politica. I think the Italian politician is dntirveig the discussion. Politicians are simply playing a power game and the economic reforms asked for by the UE are simply a fae7ade to collect consent.It is not a problem of one single man Berlusconi being able or not to do something, it is a problem of general political will to do something. The Prime Minister presents the law and the Parliament decides: you can blame Berlusconi for not presenting the law, but in the case under scrutiny the problem is that when the law is presented many politicians from both the majority and the minority do not want to approve those measures! The minority wants to fell Berlusconi and take power, the majority politicians do not want to discontent their constituencies by voting such unpopular though necessary measures.A national unity Government is simply a way of commit every politician to a certain course of action for the consequent vast discontent to be equally spread without any poll-advantage to this or that party; this way the majority politicians could avoid to pile up discontent alone and the minority politicians could avoid to vote against the European measures they would be forced to face if winner of the following political elections. 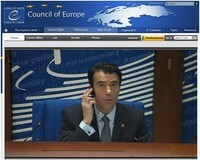 Giving a unity Government to a third person like Mario Monti (or C.A. Ciampi, Umberto Veronesi, Margerita Hack, Mickey Mouse ) is just a matter of communication to voters of the kind it is not our fault, we are forced to! . It is therefore clear that all this has nothing to do with the singularity of the Premier but is just a matter of political calculation.Berlusconi has got no intentions to leave the chair he has got his own problems and knows his political life is going to end forever so he is fighting against a solution comfortable for every one else; taking the Government to the voting of the European measures is a way to force politician to either vote Yae or reveal themselves as opponents to EU measures, which would kill them for a new technical Government to implement the European agenda. It is again a power game.The Berlusconi Government (The Gov, not the Premier alone) should have fallen well before this urgent situation because of the lack of will to do anything serious (the currently discussed measures are in line with the Berlusconi programme in mid '90! ); pretending to make rid of just the Premier only now that the urgency is to approve measure (someone show me how can minority parties approve measures consistent with the old programme of their own eneny!) and THEN let politicians do their business about chairs, is a demonstration of the poor quality of the Italian political environment and its being hostage of their constituencies.In our representative democratic system, Parliament is the mirror of the whole nation. People availing this power game in disguise is a further demonstration that the man on the street decides by gut but has got no ideas of how it works and this is the first problem to fix for democracy to run properly.